From April 12-16, Anton and seventeen other Fairfield High School students from diverse backgrounds learned improvisational techniques and traditional music skills such as rhythm, pitch and melody during a weeklong songwriting workshop aimed at encouraging individual creativity and community cohesion through music. Three instructors from the U.S.-based Modern Improvisational Music Association (MIMA), with funding from the U.S. Embassy, led the workshops, in partnership with Bristol’s American-born High Sheriff Peaches Golding, OBE. Today families, government officials, community groups, teachers and local business members will unite at the Bristol Folk House to celebrate the culmination of the workshop and watch students perform “Bristol: the Talk of the Town,” an original group composition created and recorded during the workshop at Room4 Studios. The song commemorates the group’s diversity and their love for the city of Bristol. Olivia Collins, a fifteen year old participant and one of the group’s choreographers is thrilled to perform for her local community. “My dad plays in a band and he’s always been in the spotlight but now I get to be a star and perform for him,” said Olivia. Three American music instructors from MIMA led the students through the workshop at the Bristol Folk House. In addition to funding, the U.S. Embassy provided logistical support and will co-host the closing celebration. 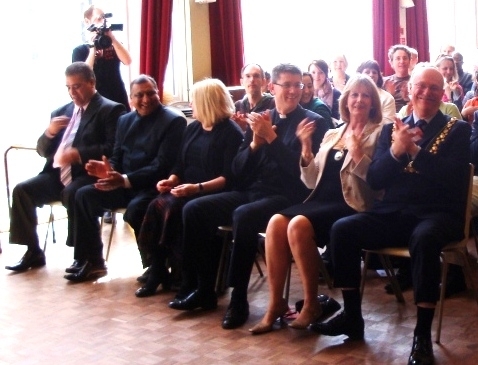 Bristol’s High Sheriff Office provided funding as well as program space and promotional support. 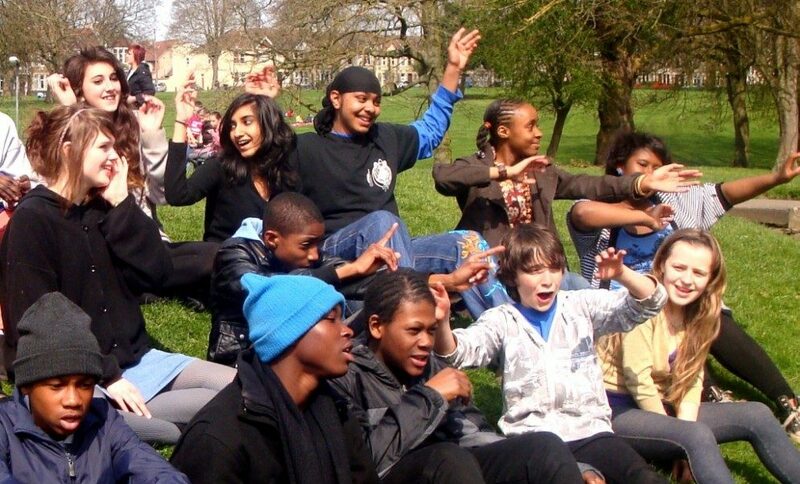 MIMA is an intercultural organization that uses music and improvisation to foster self-esteem and empower community groups through songwriting, leadership training and cultural exchange. 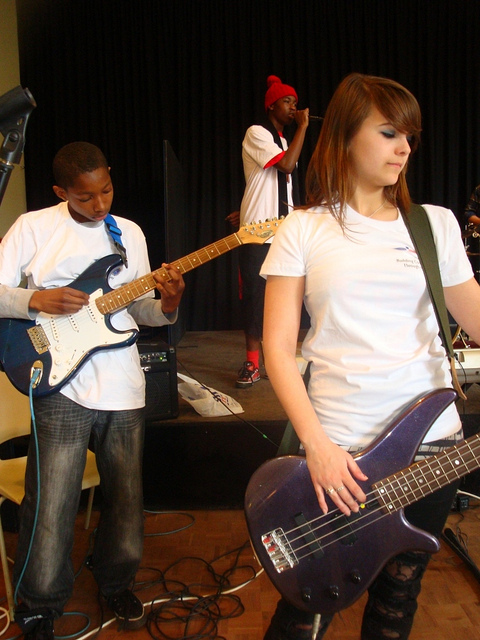 This particular event combined American teachers with teenagers from British, Pakistani, Irish, Maltese, Indian, African, Jamaican and Egyptian backgrounds to build one community through music. In addition to inspiring participants, the songwriting workshop provided a model to James Lewis, Fairfield High School’s music teacher to continue to encourage cross cultural dialogue in the Bristol community. Background Note: Peaches Golding, the High Sheriff of Bristol assisted with the program in her role as Director of Special Projects for Business in the Community which is one of The Prince’s Charities currently celebrating 25 years of HRH The Prince of Wales as the charity’s President.